Lot 84. 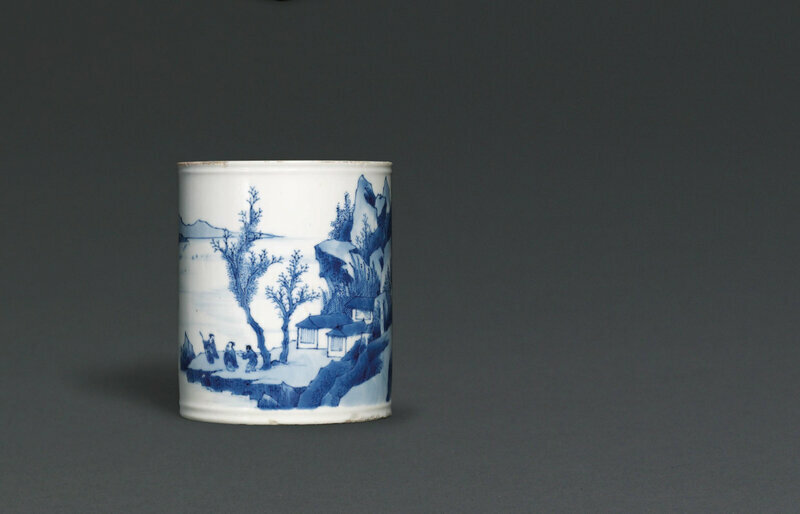 A blue and white 'lanca' stem cup, Daoguang six-character seal mark in underglaze blue and of the period (1821-1850); 4 ¼ in. (10.9 cm.) high. Estimate GBP 4,000 - GBP 6,000. Price realised GBP 11,875. © Christie's Images Ltd 2018. 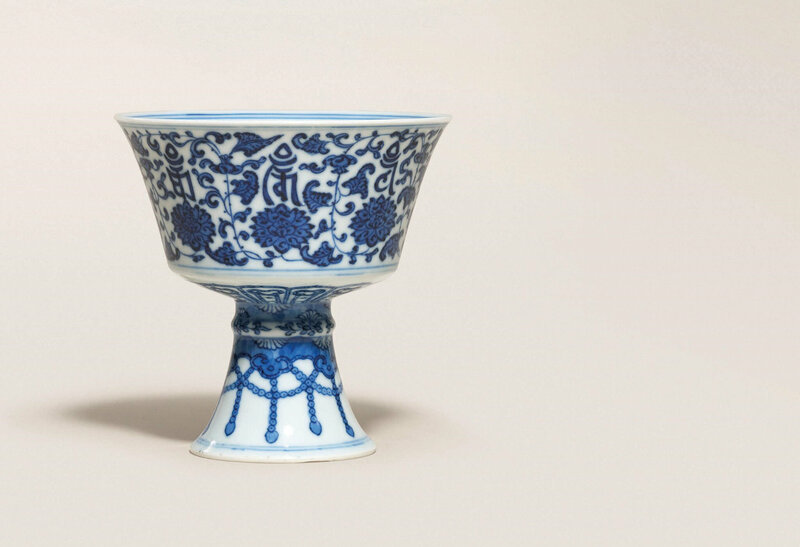 The cup is decorated to the exterior with lanca characters divided by lotus scrolls above a band of lotus lappets. The spreading foot is painted with flower-heads above jewelled tassels and ruyi-heads. 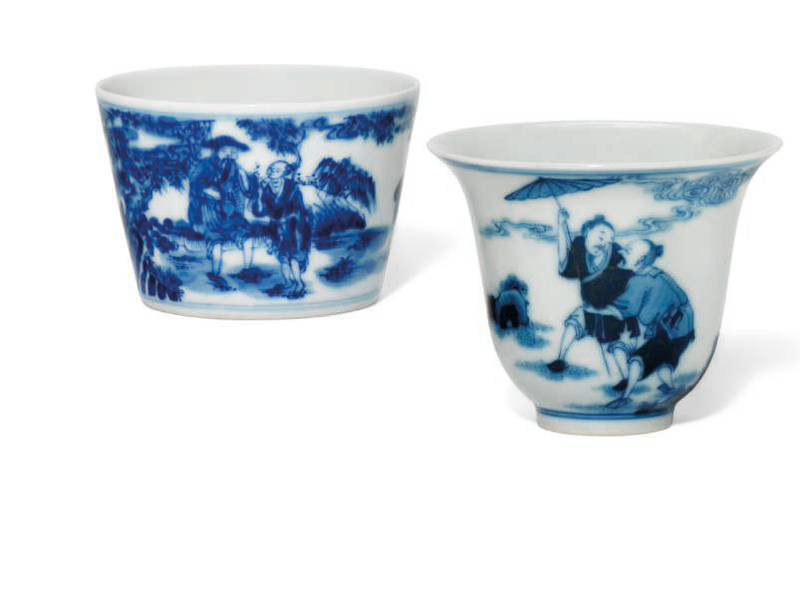 Provenance: Private collection in the UK, acquired in London in the 1980s-1990s.